THE CONCEPT OF ARTS IN MOTION “AIM” IS TO BRING THE ARTS TO ORGANIZATIONS AND INSTITUTIONS SUCH AS, SCHOOLS, COMMUNITY CENTERS, CHURCHES, CAMPS, SENIOR CENTERS, JUVENILE DETENTION CENTERS, PRISONS, ETC. These programs are designed to reach a broad spectrum of people, young and old and diverse nationalities. Of course, these programs can be tailored to reach a specific audience. We endeavor to enhance aesthetic perception, creative expression through these programs. Also, to insure that future generations are aware of their rich arts heritage. Some of the arts covered will be music, poetry, visual arts and dance. One such program deals with oral history, shows the relationship of the African Griot and Rap/Hip Hop. 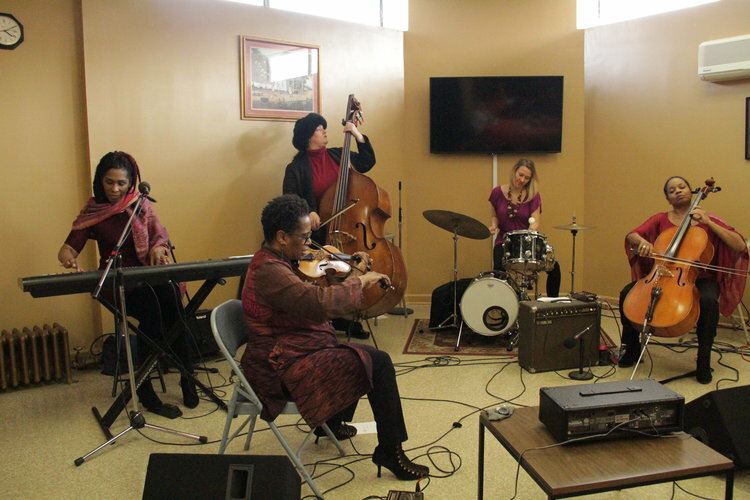 Another program based on Blues, and Jazz, would show how they are an important aspect of American music history, and how they have influenced other styles of music right up to the present. Workshops usually running a full day focus on the discovery of the Arts, they are designed as introductions to the Arts and may focus on one particular art form. This program provides instruction on the history of an art form, its roots, and the styles of famous artists. As this program usually deals with the performing arts, it will conclude in a live performance. rtist residencies are tailored for classroom activity, or used in conjunction with other programs or school curriculum, e.g., history, geography, social studies, music, etc. Artist-in-residency programs can range from two and three days to six-week programs. Students learn how to dance, compose and arrange music, and even make their own instruments. These residencies will conclude in a live performance.